This is a black sedan with beige inside and performance tyres, premium paint and 20″ wheels. Audi A8 L IN FABULOUS CONDITION WITH WARRANTY UNTIL 2021 AND SERVICE CONTRACT TILL 2023! GCC spec Audi A8 with ABS, 20″ wheels and Power locks. Price reduced! GCC spec Audi A8, grey/silver sedan with brown interior. It features 360 degree camera, 20 inch wheels and alarm. Price: AED 83,500. GCC spec A8 from 2018 with a 6 cylinder engine. Burgundy sedan with beige interior. It has panoramic roof and rear camera. 6 cylinder white 2018 sedan. Brown interior. Airbags (front and side), 21 inch wheels and air conditioning. GCC spec Audi with Paddle shifters, 21″ wheels and Tuner/radio. Price reduced! Opportunity! A 2015 black Audi A8 L 50 TFSI QUATTRO now available at a reduced price. GCC spec Audi with USB, 18″ wheels and Power windows. Price reduced! 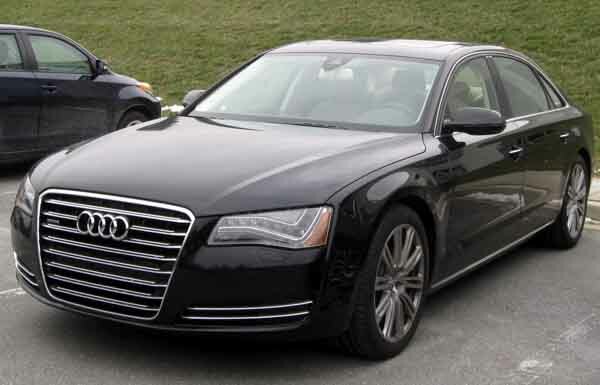 2014 Audi A8 gold sedan, brown on the inside with adaptive lighting and power locks. 21″ wheels. White sedan with brown inside. It has ABS and CD player and has 20 inch wheels. GCC spec 2014 Audi A8, white sedan with brown interior. It features rear TV screens, 21 inch wheels and cruise control. Zaher - I bought my used Audi A8 for sale in Dubai, UAE for a great price online. It’s the L 3.0T Quattro model. Initially, I wanted to buy the L 5.0T Quattro model due to the larger engine, but the specs on the 3.0 L are just as good as is the price in UAE. Leather upholstery, spacious cabin and with the extended wheelbase there is plenty of room in the back. Pros: Rear legroom, options and engine. Abdul Qadir - I have to say, my pre owned A8 4.2 Quattro is fantastic car for anyone looking for a four sedan that’s full of luxury. Ample space and it may not look the best but it gets the job done. Next year, I plan on buying an import S Line model as the price is higher in Dubai than in the export market. Adnan - Can only fault my second hand Audi A8 3.2 L model in a few ways like the sluggish engine response at times the maintenance, but overall it’s a great package. Options are plentiful and it looks great. Love these cars and i’ll be upgrading to a 50 TFSI model soon. It’s available with a variety of engines including a V8 and a W12. Older versions are some of the cheapest 12 cylinder sedans around. Saying that, the V6 motor isn’t as bad as one may think. Front wheel drive is standard, but four wheel drive is available. Not enough legroom in the rear? No worries as long wheelbase Audi’s are plentiful in the UAE. There are known to have an extremely powerful brake system which is definitely a big plus in Dubai. 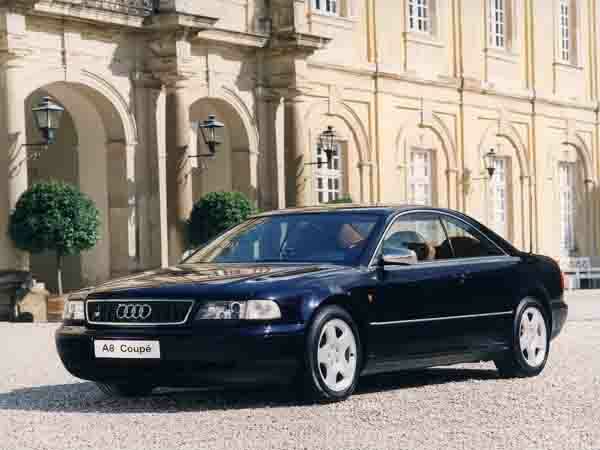 The A8 is without a doubt Audi’s flagship sedan and has been since 1994. Over the years it has proved popular with rich business people with some even commissioning their own versions. With tons of luxurious features on offer, these vehicles are not only popular with top of the food chain but for those who want a dash of luxury without going over the top. Road Rivals: BMW 7-Series, Mercedes-Benz E-Class and the Lexus LS Series. In its first generation, the luxury sedan debuted on a platform the world had only heard about. Comprised of aluminium, the sedan weighed in lighter than many of it competitors not only that; it was also stronger. Four-door version are the only body style you can get, and there is a long wheelbase model available. Options include leather seats, xenon headlights, cruise control modes, power seats, CD player, sunroof, climate control, BOSE premium sound system and much more. Not all are standard as some are extras. In 1997, ESP or Electronic Stabilisation Control along with front and rear airbags were introduced and were a world first. 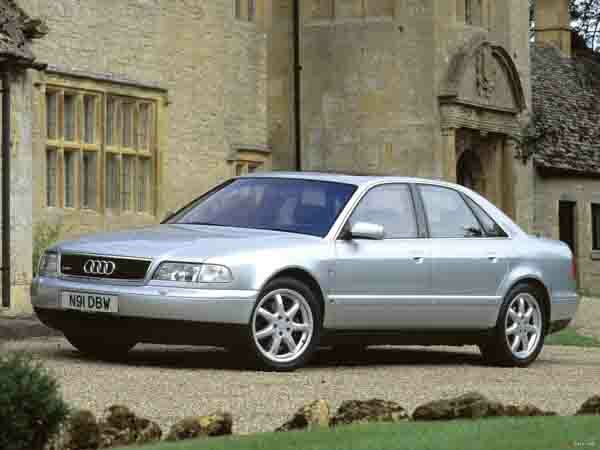 2000 models received a minor face lift which bought along a new headlights, grille and interior styling. Two years later, HID headlights and a steering wheel became standard on long wheelbase models with a tyre pressure monitoring system, upgraded sound system and an escape latch in the boot are also available. It’s worth noting that the German manufacturer put together a Coupe prototype. With a two door set up, only one was ever produced, and it was last seen in 2002. Three power plants are available, a V6, V8 and mighty W12. All have various displacements and drive the front wheels as standard except for the larger units of course that power all four wheels instead. Both manual and automatic transmissions are available. Want to buy a pre owned Audi A8 for sale in Dubai, UAE. Prices start at AED 21,000. 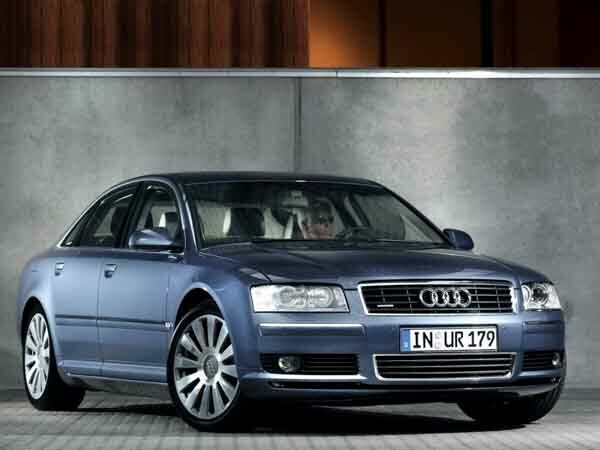 In its second generation, Audi’s flagship model grew in length for both standard and extended wheelbase models. As with the previous models, only a four-door versions is available and can carry four or five passengers. Base models are equipped with previous generation options and a host of new ones. Parking system with graphic display, adaptive front lighting, a set of newly designed 18-inch rims enhanced the multimedia system and leather upholstery. 19-inch alloys are available too as is a moonroof, cooled seats, rear entertainment package, memory seats and parking sensors. In 2007, the sedan received a minor facelift which includes adaptive cruise control, braking guard radar, side assist and lane assist. Powering the front wheels as standard is a V6 motor. All wheel drive models are available with a V8 or mighty W12. CVT boxes are standard with higher trims being available with 6-speed auto gearbox with manual versions available around the world. Alternatively there is a Lamborghini sourced 5.2 V10 petrol motor available exclusively for the S8. Want to buy a second hand Audi A8 for sale in Dubai, UAE. Prices start at AED 25,000. In its third generation, the four-door sedan received another overhaul to both the interior and exterior. Not enough to shine the light away from the full-size luxury sedan but enough to keep it looking fresh. Extended wheelbase models are available along standard models. It’s mainly the front end that’s instantly distinguishable as the feature a new pattern with optional LED’s. Base models are equipped with leather seats, navigation, powered sunroof, powered accessories, Bluetooth, keyless start, digital air conditioning, parking aid, reverse camera, adaptive air suspension, and xenon headlights. Optional extras are just as impressive as last time around. Rear entertainment package, powered rear seats, cooled front seats, massaging seats for all passengers, panoramic sunroof, alcantara trim, Band & Oulfsen sound system, internal storage device, electronic closing boot, parking sensors, soft closing doors and 20-inch alloys. 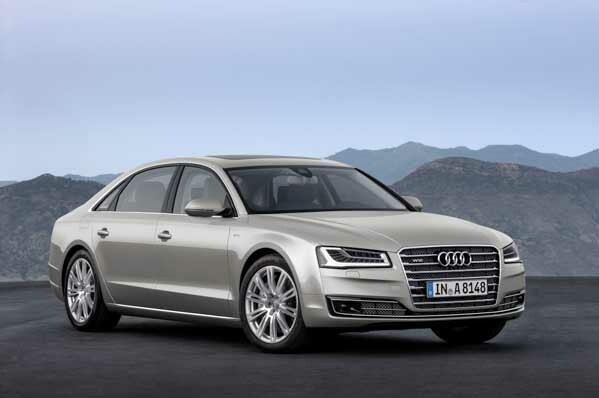 In 2013, the German brand unveiled an updated the A8’s lights with automatic high beam lighting. The year after, Audi unveiled a revamped version of the luxury sedan. With a new set of headlights once again that now incorporate matrix technology features include corner lighting, night vision assist, heads up display, active lane assist, side assist and an upgraded media system. Trim levels make good use of the TFSI badge with pretty much every model sporting the four letters. The V10 motor is gone and the V6, V8 and W12 all return and power all four wheels in the GCC. Automatic transmissions are the only boxes available. Want to buy used Audi A8 in Dubai, UAE. Prices start at AED 65,000.